It is not uncommon for law students to complain that they struggle to remember all the case names and Acts of Parliament that make up the legal rules in the UK. There are lots of different kinds of memory techniques that you can try, and we have set out below a few for you to consider using. Don’t worry if you find that a technique does not work for you, as this is a personal skill and you need to find out what suits your own individual learning style. This is an old-fashioned way to remember information but it does work. You can find online programs that will allow you to prepare your own electronic flash cards, or you can get some index cards from a stationer. The idea is to write out a question, concept or legal principle on one side and the answer on the other. I personally still prefer using a pen and paper as I can keep testing myself wherever I am. The benefit of preparing your own cards is that it is an active way to learn because it forces you to summarise the information into short yet comprehensible chunks. You won’t have enough space to simply copy out your notes again, which can be a passive way to learn. Use mnemonics (pronounced 'nem-onics'). This term means 'one thing helps you remember another'. The idea of mnemonics is to use a phrase that sticks in your mind to remind yourself of a more difficult point. An example of a famous mnemonic is the one used to remember the order of the points on the compass: N ever E at S hredded W heat becomes N orth - E ast - S outh - W est. A variation on this technique is to create associations with words and pictures. This uses the power of the visual cortex to simplify the complex memories. So for example, whenever I think of the case of Donougue v. Stephen I visualise a snail. Just thinking about the word ‘snail’ then not only reminds me of the name of the case but makes it easier for me to retrieve from my memory other facts about the case. There are different ways to use diagrams, which can help you visualise information. Again, there are lots of online programs available for free that can help you create an electronic mind map. The way I create mind maps is to start in the middle of the page with the main concept and then branch out into more detail using keywords. You can add different colours and pictures – anything that will help you remember. 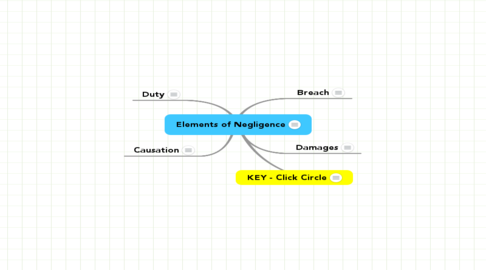 Below is an example of a mind map for the elements that make up the tort of negligence. The advantage of a mind map is that it is a good way to help you remember how different theories or cases link together. It is also a good technique for students who learn better with visual aids. If things are getting desperate, try to record yourself singing your revision notes to your favourite tune. Play it back a few times and see if you can remember the words. Too embarrassed to actually sing? Just listening to yourself talk through your revision notes might help you remember them better. 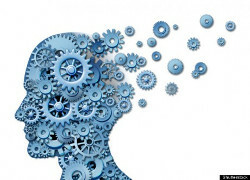 There are hundreds of publications about memory and how to improve it. A favourite of mine was The Memory Experience, produced by the BBC. If you are interested in learning more and even testing your memory, then click on the picture below and it will take you to their website.